BEHOLD! 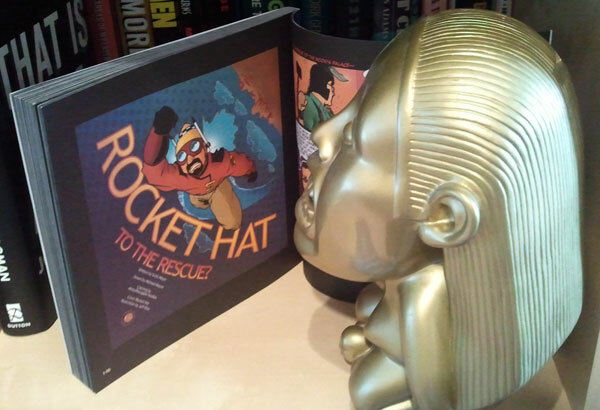 The idol from the beginning of “Raiders of the Lost Ark” (Someday I’m gonna cover that thing with gold leaf) is now reading the full color comic book illustrated Rocket Hat adventure that can only be enjoyed by those who possess a copy of my third book! You, (YES! YOU!) can get a copy of said book at my publisher’s website, or by winning a copy in a contest, the rules of which I shall announce on Monday, after I have decided what those rules are.